When I’m planning a trip out-of-town, the excitement builds. But then I have to book a hotel room, and the indecision sets in. Is it in a good neighborhood? Will there be awesome restaurants nearby? Is there anything interesting to do walking distance from the hotel? Fortunately, CMI has made selecting a hotel easy for attendees. It has chosen 10 locations to be the OFFICIAL hotels for CMWorld. But you’ll want to make reservations soon – rooms are selling out fast! A complete list of hotels can be found here. Want something close to the Convention Center? You’ll find accommodations right across the street. Prefer to sleep like an angel in a Heavenly Bed? Or be among the angels with a cathedral view? Want to feel smarter and stay in a former Board of Education building? Or would you rather start your stay with warm chocolate chip cookies at check-in? There’s really a hotel for everyone. Looking to learn more about your options? Read on. A 6-minute walk from the Convention Center, the Hyatt Regency features an experience like no other. 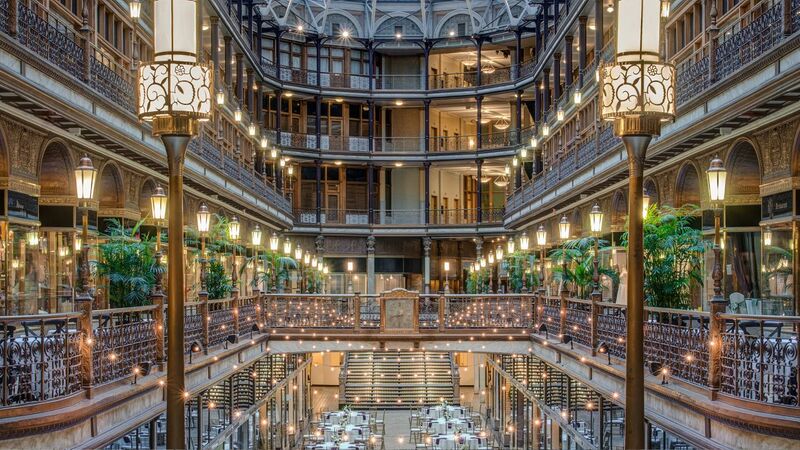 Here, attendees have a chance to stay in one of Cleveland’s most iconic landmarks. The hotel sits in the beautiful Arcade, that dates back to 1890. But don’t expect old and boring. The Hyatt Regency boasts individually designed guest rooms with modern amenities. But you’ll feel like you’ve stepped back in time when you see the building’s original architecture. 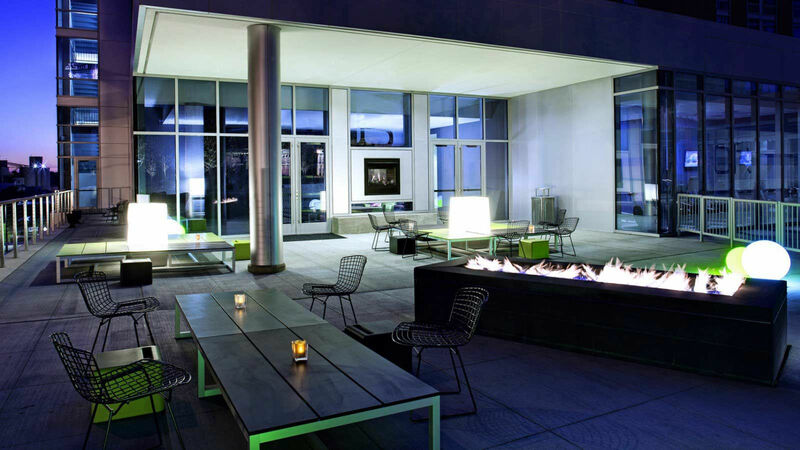 Located in The Flats – one of Cleveland’s most popular destinations – it’s no surprise that Aloft is cool and chic. Guests can escape to the hotel’s backyard patio. Or they can discover the city’s nightlife, a short stroll from the lobby. From live music at The Big Bang and W XYZ to incomparable restaurants like BOLD Food and Drink, Lago, and Collision Bend Brewing Company, Aloft and The Flats are where it’s at. Attendees who want to be in the middle of all the action should stay at the Hilton Cleveland Downtown. The hotel is connected to the Convention Center. In fact, several of our sessions are held there! Guests should definitely check out Bar 32. 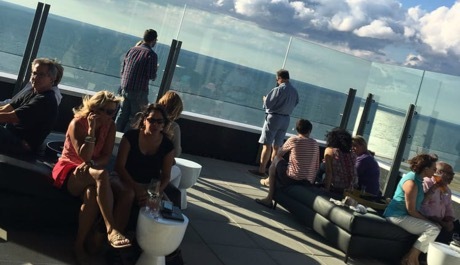 This local hotspot has a rooftop deck with sweeping views of Lake Erie. Are you a sports buff? Think you’d like to hit the ballpark while in town? Then, you’ll want to stay at the Hilton Garden Inn. 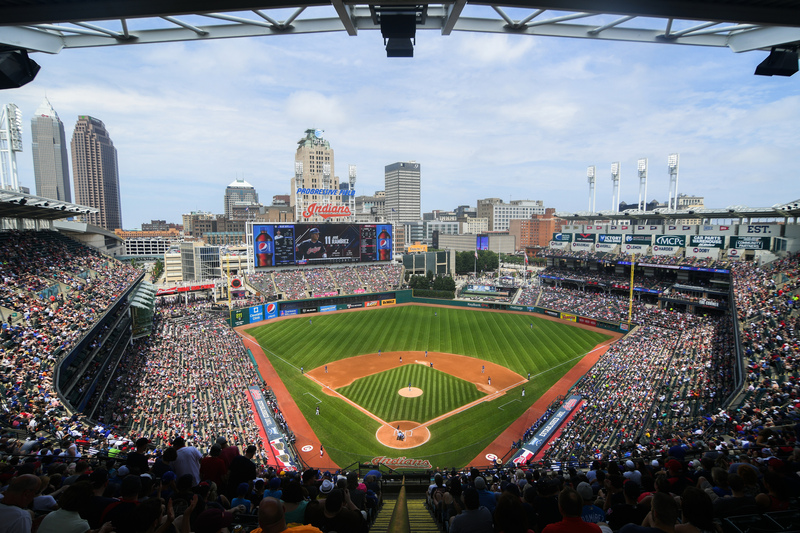 Located in the Gateway District, you will be across the street from Progressive Field, home of the Cleveland Indians. Best of all, the hotel is a quick 8-minute drive to CMWorld. Looking for a luxurious escape after a long day? The Metropolitan at The 9 is one of the city’s newest hotels. The 9 offers swanky accommodations in an upbeat atmosphere. Lavish chandeliers and cushy sofas can be found throughout this stylish hotel. Be sure to look for the building’s hidden gem, Vault. 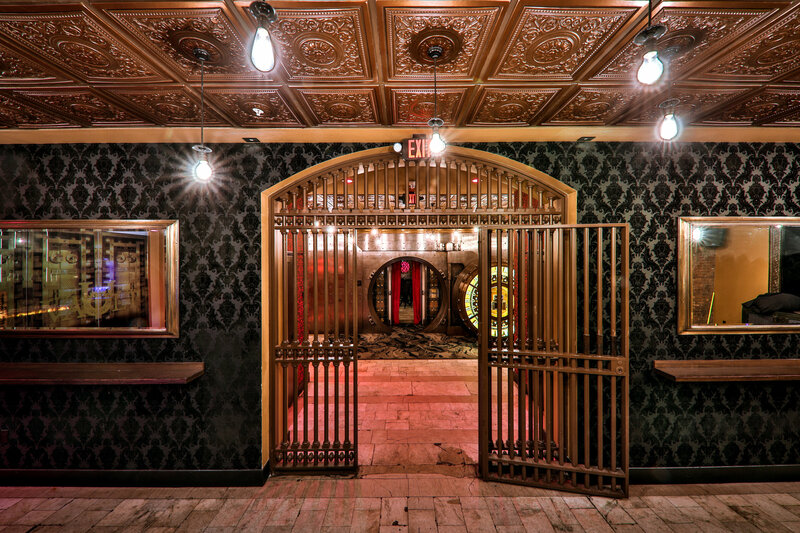 The upscale cocktail lounge is underground, built around a series of century-old bank vault doors. So what are you waiting for? Stop procrastinating and book your CMWorld hotel room now. Our exclusive attendee rates end August 20, 2018. To guarantee our special pricing, be sure to use this link. Do not call the hotel directly. If you have any questions, feel free to email us. Our team is ready to help make your stay in Cleveland a wonderful one! Psssst. Want my secret tip for resting easy in my hotel room? Take a picture of your stove. This always makes my pre-travel to-do list. And I promise, at some point during the week, it’ll help you breathe a sigh of relief.